Summer in San Francisco is funny. It's usually overcast, oftentimes windy, and sunny days are more surprising than grey days. 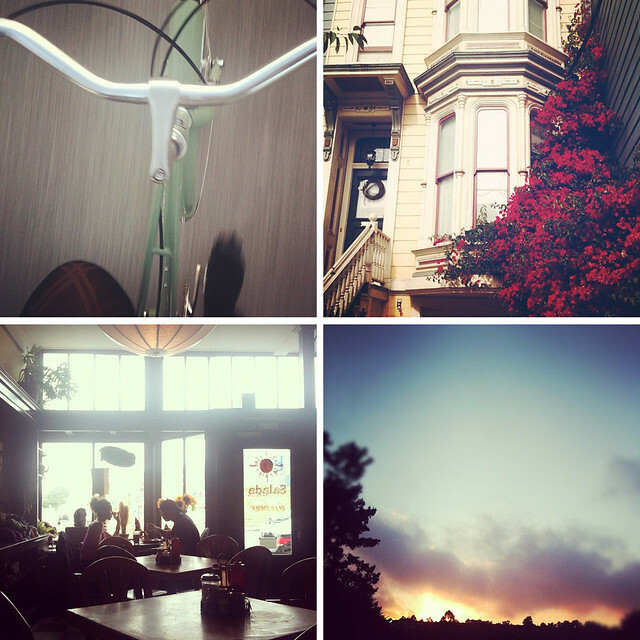 And while it rarely feels like summer all the time, it's easy to find glimpses of summer in the everyday: a bike ride home (the long way), flowers against a yellow house, quiet brunch mornings and sunsets that look like the world is on fire.